Jones-Burke Duo perform Beethoven, Brahms, and John Cage. 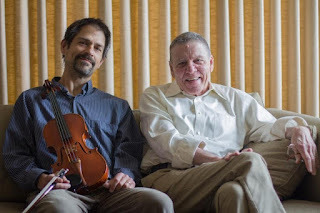 Mike Jones and John Burke have been playing the violin-piano repertoire together for over 25 years. In addition they were two/thirds of the trio I Gatti Freschi, and Mike Jones is a member of the Jupiter String Quartet.